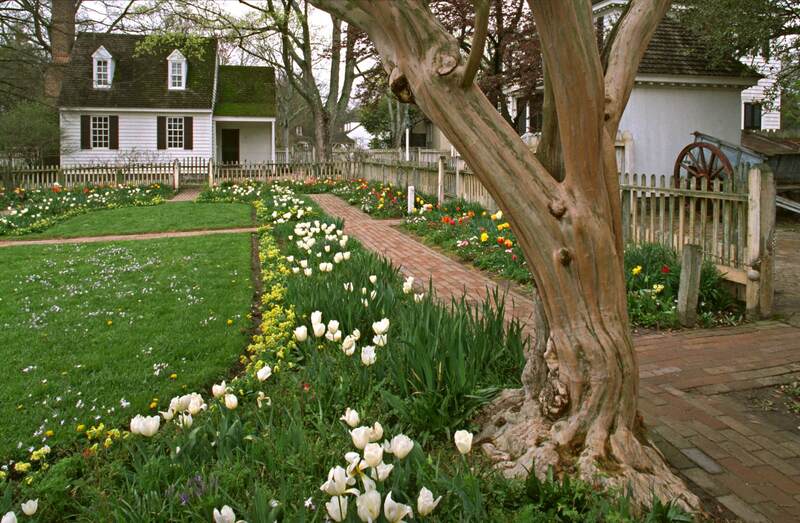 Trim and tidy, the gardens at Colonial Williamsburg are not dutiful re-creations of the earliest homestead yards, which were necessarily functional and spare. But they are beautiful and well-considered models for Colonial Revival gardens based on archaeological and historical research. As study gardens, they provide a superb start for those planning an English-derived formal garden. 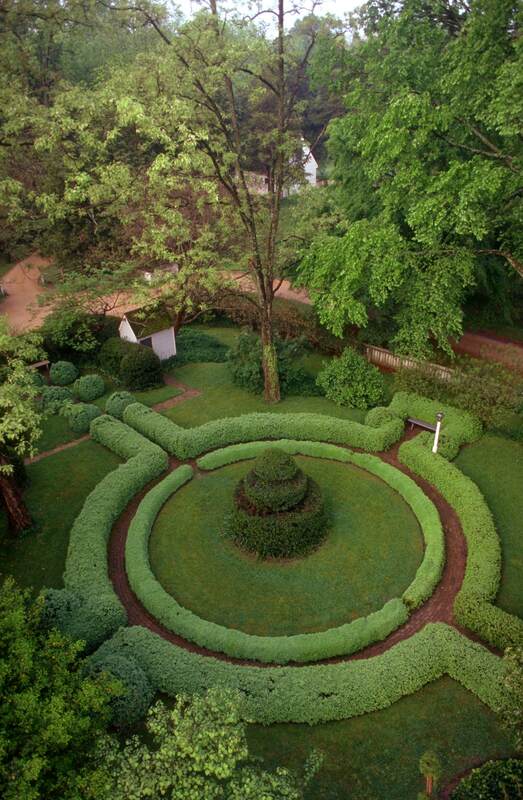 At the center of the Colonial Revival Greenhow-Repiton garden, a spiral topiary centers a circle around which lawns and beds radiate. Underlying the designs is knowledge of the town’s history; excavation has determined where outbuildings, wells, walkways, and property walls once were located. Some maps of the 1700s survive, as do letters and inventories. The Colonial Williamsburg Foundation’s first landscape architect, the Olmsted-trained Arthur A. Shurcliff, studied many surviving sites to document plant use in the South. 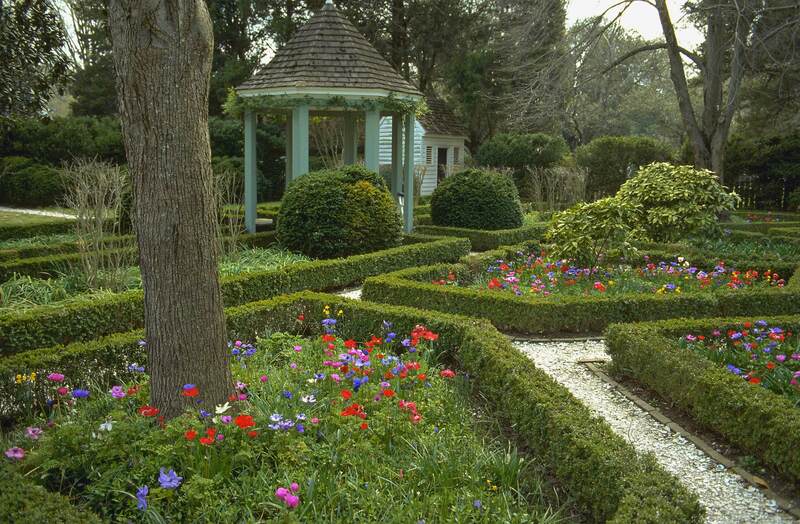 “It is a credit to the conservative English taste of Williamsburg’s gardeners that this small Virginia town had some of the best examples of Anglo–Dutch gardens in the colonies,” write Brinkley and Chappell in their classic book, The Gardens of Colonial Williamsburg. 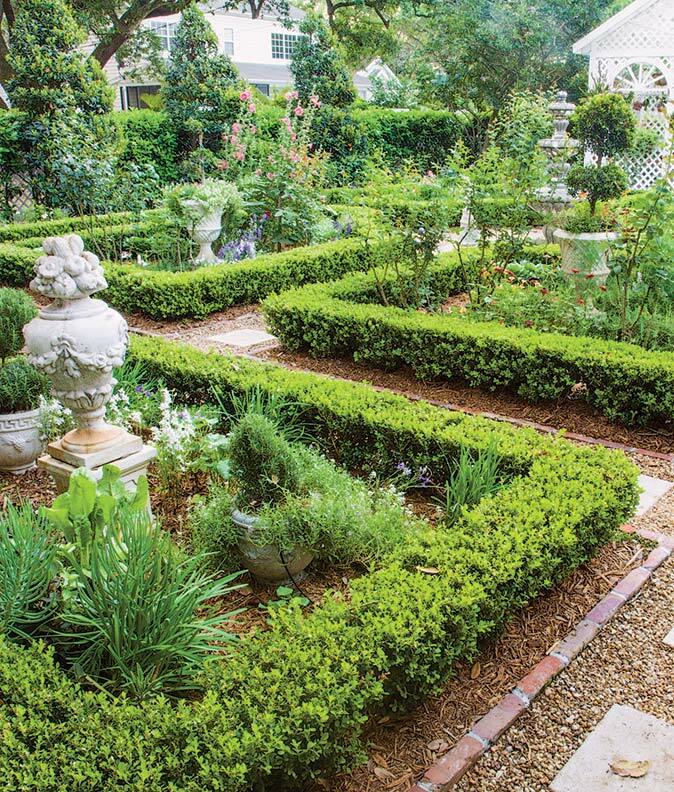 Crushed oyster shells cover paths between boxwood-bordered parterres in the Benjamin Waller garden. Still, most Williamsburg gardens probably included vegetable gardens and scattered flowering plants, with a small orchard of fruit trees if space allowed. Walkways were generally laid out in direct lines between house, outbuildings, and work areas. Decoration (such as vases and garden seats) and water fountains were rare. Fences, however, were required after 1705, to protect gardens from livestock. Garden walks might be surfaced with brick, gravel, or crushed shells. As the Foundation’s web site puts it, “Colonial Williamsburg’s Historic Area is a compromise between historical authenticity and common sense, between brutal realism and gentle ambience.” Just like the restorations private homeowners undertake. Learn about how to create your own cutting garden. 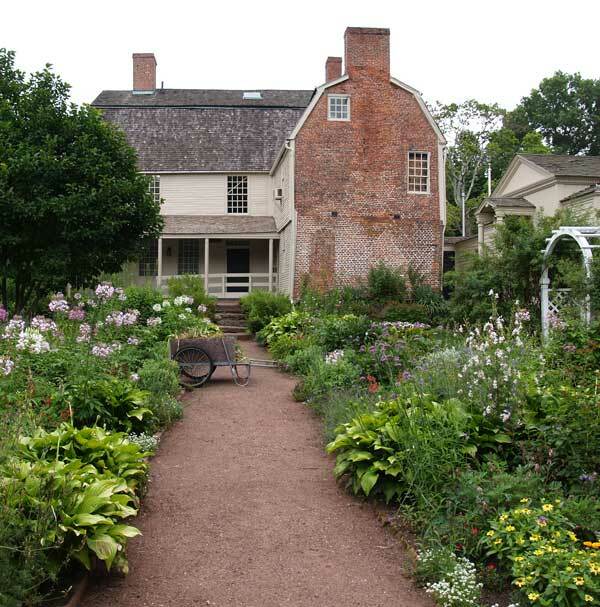 Colonial gardens, like those found in Williamsburg, VA, were uncomplicated, practical, and nostalgic. Take a look at 200 years in the garden and learn how to create your own. In a monastery, the cloister is a courtyard or quadrangle surrounded by walls and especially by covered walks. 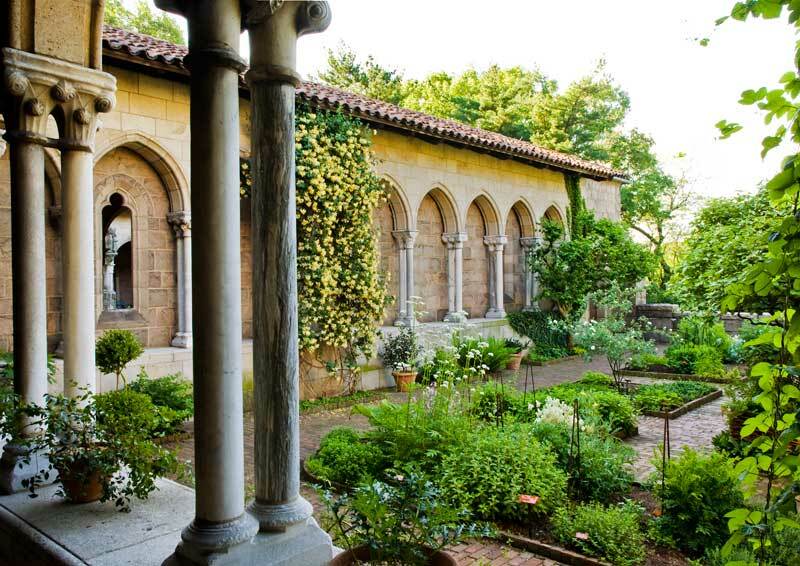 These medieval gardens provide inspiration for those with period revival houses, or for courtyards or covered walks.